Is your luxury Mercedes-Benz sedan, coupe, or SUV in need of service? 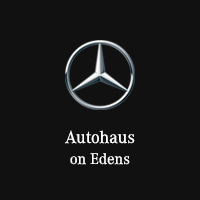 At Autohaus on Edens, our service technicians are incredibly knowledgeable and factory trained, so you can rest assured that your German engineered vehicle will receive only the best care when at our dealership. Schedule automotive service today in Northbrook, IL using our scheduling tool below. All that is required is your vehicle and contact information and the date you would like to bring your vehicle in. It’s that simple! If you have any questions regarding the services we offer or to schedule car service, give our service experts a call at (847) 272-7900.